Our formulas are 98% plant based, non-toxic to aquatic life and readily biodegradable which means peace of mind for your family and our reusable bottle and concentrate refill pods use 90% less plastic than traditional cleaners. Our neutral pH formula is gentle to all water safe surfaces, non-irritating, non-flammable, and non-corrosive. Cuts through tough dirt, grease, stains and odors without harsh or annoying fumes. 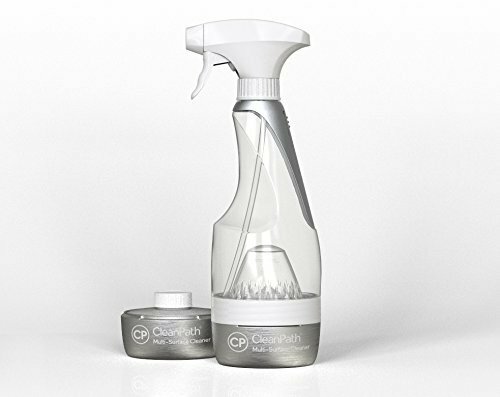 If you have any questions about this product by CleanPath, contact us by completing and submitting the form below. If you are looking for a specif part number, please include it with your message.